Sara Rutenberg is a business affairs executive and attorney with over 30 years of experience in the entertainment industry. A family history of mental illness and her sister’s suicide inspired her to become a mental health advocate who is committed to erasing the stigma of mental illness. She joined Didi Hirsch’s Board in December 2016. 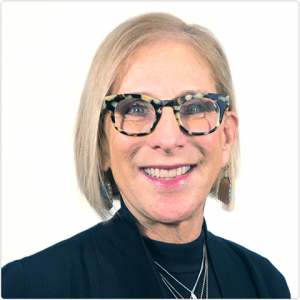 Rutenberg has an extensive brand management and business development background and has worked in key leadership positions for such companies as National Lampoon, where she served as Executive Vice President of Business Affairs, Fremantle Media as head of Business Development and Strategy, and Universal Television as Senior Vice President. Prior to earning her J.D. degree at Loyola Law School, Rutenberg received her B.A. in early childhood development from Pacific Oaks College and became a teacher in Santa Monica. Nurturing a love of children’s books, she followed her passion to publishing, serving as Chief Operating Officer for The Society of Children’s Book Writers & Illustrators and serving on their Board of Directors. She currently works with her brother in the family’s business. She and her husband Peter, a Grammy Award-winning classical composer and conductor, have two children and reside in Beverly Hills.